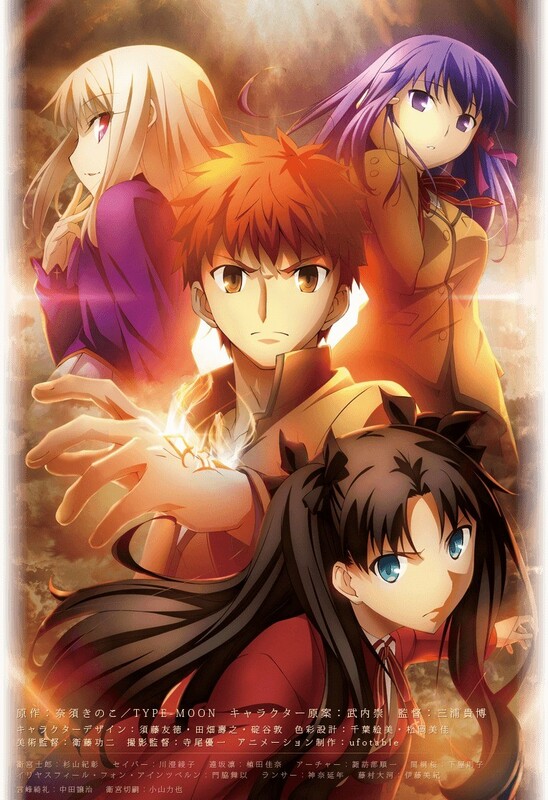 As you all know, I once again sold my left arm and my magic circuits over to Aniplex of America so that I could purchase their DVD set of the first season (episodes 1-12) for Fate/stay night: Unlimited Blade Works (TV). The fantasy action anime all about the 5th fight for that elusive chalice includes an all-new English dub. This is particularly exciting considering that I’m a veteran who watched the original Fate/stay night (2006) and the Unlimited Blade Works Movie (2010) in SUBTITLES. Curiosity did get the best of me, and I ended up watching segments from these Studio Deen adaptations, but their dubs sucked (just cuttin’ to the chase). 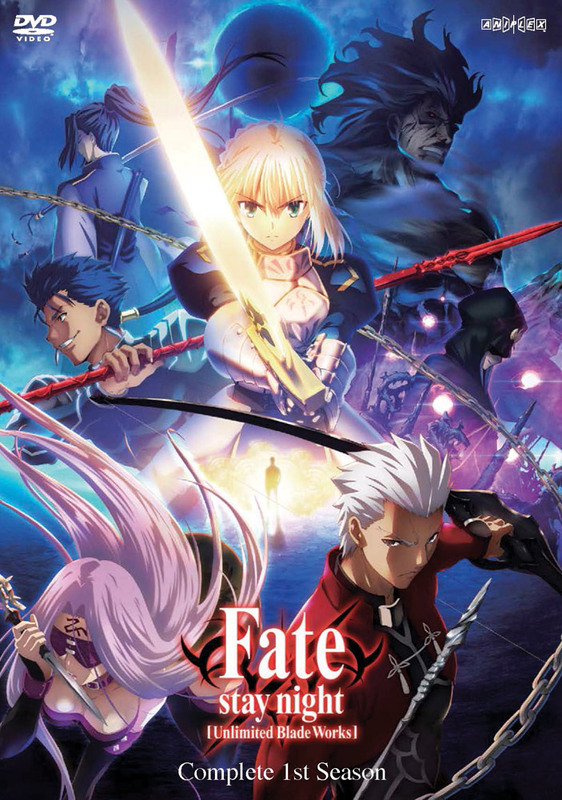 Luckily, I pretty much only have positive reviews for the Ufotable version, so read on for more depth! This is just epic. To watch it go from simulcast, to Japanese set, to English DVD is a beautiful journey. While the image above is the cool slipcover art, the DVD case itself contains this absolutely stunning artwork. The only difference is that where the text is, the English logo for F/sn: UBW is stamped. Let’s kick things off with Shirou Emiya, portrayed by the infamous Bryce Papenbrook. Now, Papenbrook has quite the streak in misplaced voice acting, his role of Kirito being my biggest turnoff. But for a character like Shirou, his age and position, I thought Papenbrook pulled things off without a hitch! He does a damn good job at imitating Noriaki Sugiyama’s rather high and somewhat obnoxious voice, so my hat’s off to you, Papenbrook! On to everyone’s favorite tsundere mage, Rin Tohsaka is voiced by Mela Lee. Apparently Lee’s been with Tohsaka since the first dub of the adaptations, but every one of her performances lacked the natural stuck-up attitude I’ve been searching for – Until now. Once you get past the first hour-long pilot, Lee’s voice stops ringing in my ears and becomes one of the more fun – and pretentious – performances to hear from. It sure isn’t as great as Kana Ueda, but it’ll do. B*tchy-Mc-B*tch-Face Archer is brought to life by the smart-assy Kaiji Tang (as you can see, I don’t fancy Archer). Brilliant in every way possible, Tang milks all that he can out of Archer and puts up a stunning fight on the vocal front. He, too, fits the range of voice necessary to Archer’s arrogant dialect. Love it! Todd Haberkorn as Assassin – F*ck yeah, even though I kinda forgot whom he was in the original, I’ll now never forget! Just YES, YES TO ALL! Matthew Mercer as Kiritsugu Emiya – He’s only around for a couple of flashbacks, but those are just enough to bring tears to your eyes as you recall Fate/Zero‘s tragedy. Julie Ann Taylor as Fujinee, or Taiga Fujimura – Always. Excited. Is the Taiga. Fujinee~ has a very nice English voice actress, simple as that! David Vincent as Gilgamesh – More F/Z carry-over drama, and in fact, Vincent has such a pompous and snarky that its perfect for the King of Heroes. We’ll hear more of him in the second season, though. Crispin Freeman as Kirei Kotomine – This is one “fake priest” that you don’t want to run into on a dark night. Freeman will never be as solid as Jouji Nakata, but so, so damn close! It was a pleasure to listen to Kirei’s rich, melt-in-your-mouth voice again. Lex Lang as Souichirou Kuzuki – “Mr. Kuzuki” as he is in the dub also shares the same voice as Count Cruhteo from A.Z, who just happened to be one of my favorites! Ironically, he was Issei in the old dub, the student who shares residence with Kuzuki. Tony Oliver as Lancer – Oh boy, oh boy, Lancer’s English voice will not disappoint whatsoever! I’ll admit, Nobutoshi Canna was excellent, but Oliver wins it for me! Cristina Vee as Sakura Matou – Agh, it’s Cristina Vee – and aww, it’s Sakura! This combo goes hand in hand, but I’m interested to see if they’ll keep the same actress when “Heaven’s Feel” makes it over here in the States, fingers crossed. Melissa Fahn as Rider – And the most enchanting voice goes to Rider without a doubt!! *Slight spoiler* It’s a shame she doesn’t last very long, as I could listen to Rider talk on and on. Yet another reason why they should’ve adapted F/sn instead of UBW, but I digress. Fantastic job, Fahn! Robbie Daymond as Issei Ryuudou – Just another guy in glasses, what can I say? Jessica DiCicco as Yukika Saegusa – A friend of Tohsaka’s? Gosh, I don’t even remember who this is. Below is the English Dub Trailer Aniplex posted a while back. See it for yourself! I don’t care who says they hate this dub. I don’t care who thinks Papenbrook is a terrible Shirou. 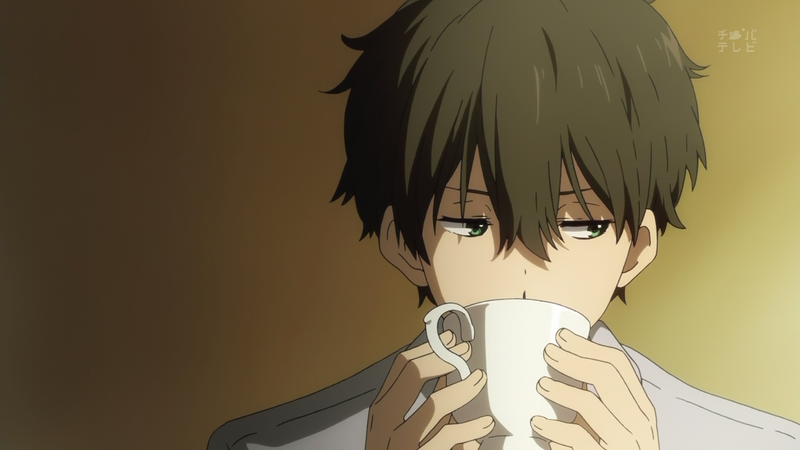 I don’t care how much people think Rin’s voice is a letdown. I LOVE THIS DUB, and I will be buying the second season, mind you! It’s gonna be a tragic long wait for the second half, and yes, it will break my wallet, but what can I say – I support things that I like! For those curious, the sub is still superior, and I recommend watching the entire series on Crunchyroll before blindly buying this uber-expensive dub (cause it was an atrocious $80 USD for only the first half on DVD only). However, like with A.Z, I had so much fun each night plugging in each of the voices and watching the first half of the Fifth Holy Grail War play out all over again . . . It sounds like they really did an excellent job on the English Dub. Besides the cast from DBZ, I really like Papenbrook. He does a great job on Kirito from SAO and Rin from Blue Exorcist. Not to mention, Eren from AoT. I wish to yell like him. I imagine they would use the same actors for Heaven’s Feel to keep things consistent. I hope so. Wait, I thought in MAL it said the Japanese voice was kept the same – was I wrong LOL?! But I suppose I should’ve mentioned him. Now Illyasviel’s gonna send a nearly immortal giant pummeling my way. The comment was made in jest, as he doesn’t have any dialogue aside from grunts and yells. You’ll be seeing a lot more of Rider in the movie Heaven’s feel ;). Crispin Freeman, the guy is an outstanding VA. 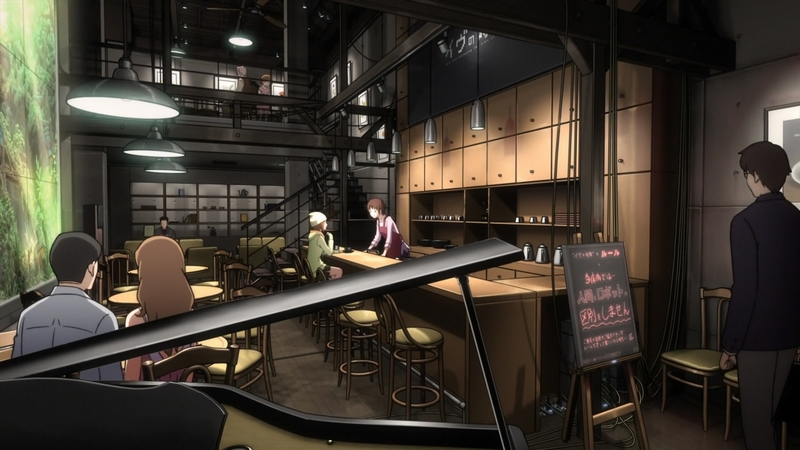 Stand out in the 06 anime. Good first impression on the dub Taku :D.